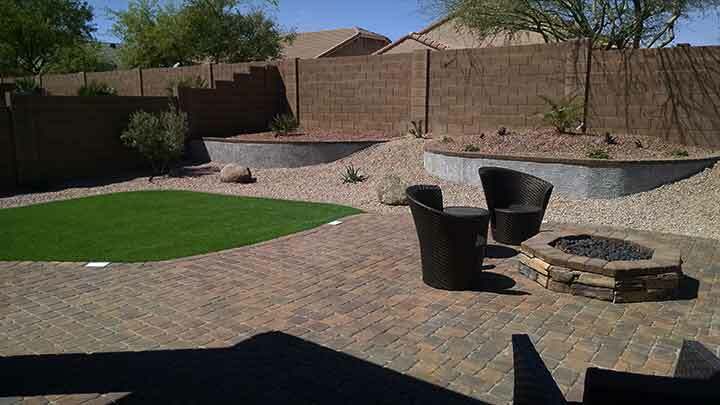 New backyard landscaping installation in Arizona in the Johnson Ranch neighborhood. This yard was an existing yard that needed a backyard landscaping remodel. 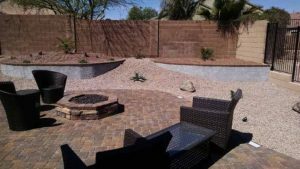 The customer wanted an entertainment area, and fire pit and a solution for the hill that went up the back wall. 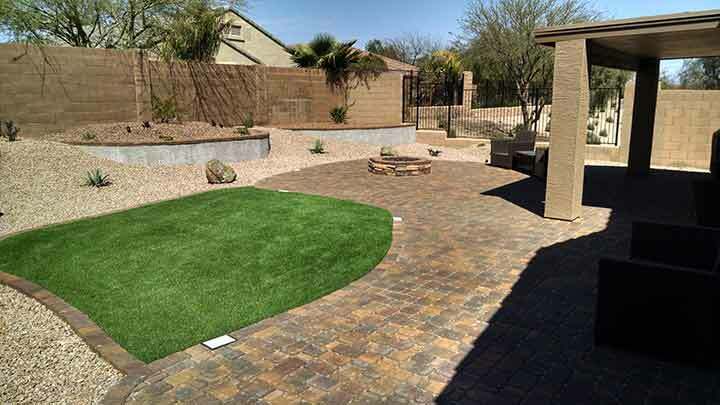 They liked the paver patio’s we had installed in the past and wanted that look.